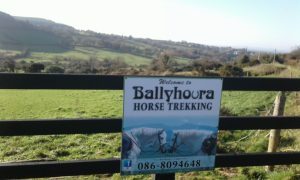 Ballyhoura Horse Trekking previously known as Ballyhoura Horse Trails offers a friendly and relaxing trekking experience. 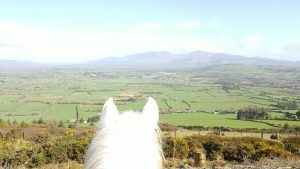 We are located in Kilfinane and offer treks through forest trails with breathtaking views of the Ballyhoura, Galty and Knockmealdown mountain ranges. 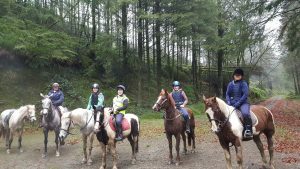 We offer one hour treks for beginners and two and five hour treks for experienced riders. 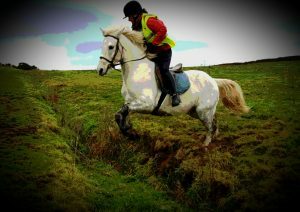 We also welcome riders who wish to bring their own horses or ponies. John Joe is BHS qualified in equestrian tourism. Aire approved. Your one stop shop for all your riding and Horse needs. Come and join us for trekking, lessons, kids camps, schooling, and holiday livery’s. Up through the Forest trail with Lovely views of Kilfinane. No experience Required. Child €20. Adult €30. 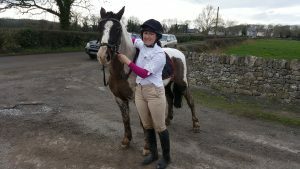 1 hour hack for more advanced including cantering also. 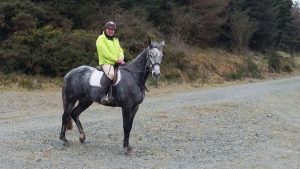 Walk,Trot and uphill Canters while enjoying the beautiful Ballyhouras. 1 hour lesson and 2 hours trekking for Adults only . Vouchers available, Discounts for Family/Large Groups. CONTACT Johnjoe O’Brien 086 8094648. Great spot lovely quite horses , and amazing scenery . Hi, just enquiring about your Sunday ride outs. Myself and my friend are interested in trying it someday. How much is it and how long do ye go out for. We would both bends novices.